Yup, I a dork. 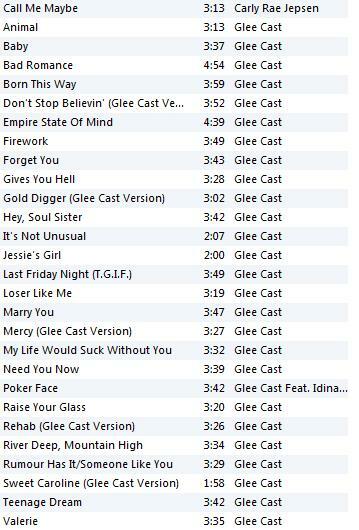 Such a dork that I thought about making a shirt that says"Glee-fully Running the Half". You don't have to be my friend anymore if you don't want to. I know I'm not cool. 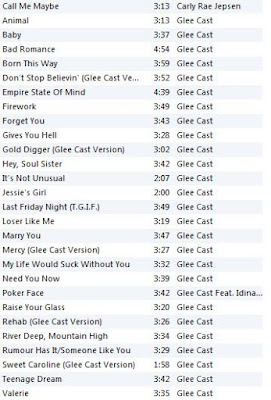 But I do love Glee. The music most of all. In my dreams, I'm a fabulous singer and performer and up there belting out tunes along with the cast. So that takes my mind off the running a bit. And of course I had to add Call Me Maybe on the playlist. I made the mistake of playing it for WC and now it is playing nonstop so I'm not sure how much long I'm going to love it. But for now, it still makes me smile. Good luck at the race this weekend. Looks like beautiful weather for it. Oh, that shirt would have been awesome!